Our Educational Marketing and Business Solutions Cloud Service consits of. Our service is training that we provide during 1 on 1 online lessons, helping local tutoring companies grasp marketing concepts, helping them increase their chances of getting more student leads, we also provide business solutions in the form of 1 on 1 online training for local tutoring companeis for few companies who managed to break the barrier of getting student leads (with the help of our training in edu marketing study guide) and now entering the business life cycle stage where match making tutors with students and every detail of it becomes more important. It's not good for local tutoring companies who are greedy. If you have factor of greed in you, do not proceed further reading, greed can hold you back, result of that greed can result in you waisting a lot of time and money. Therefore if you are pondering questions such as... I don't want to pay for any service... I am doing fine on my own.... then this service is not for you....and for someone else instead, who wants to do better then you perhaps your local competitor. This solution is good for any local tutoring company who has a website in their local area and want to get help in marketing, and no not from some useless marketing company, but from company that knows local tutoring match making business in and out. 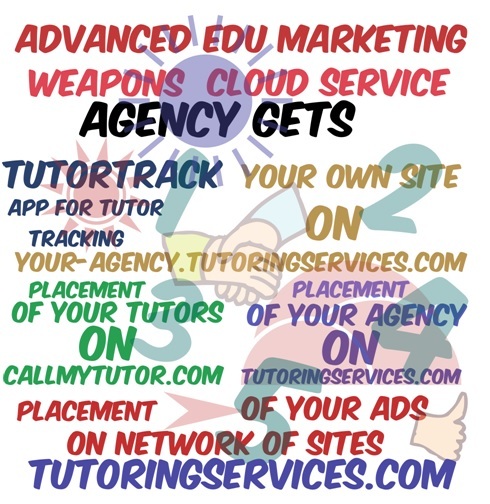 This solution is good for companies who want to destroy their local competitors, create their own local tutoring network and gradually increase their student leads with the help of our cloud marketing and business solution service. This cloud solution is to help you maximize your chances of making money in your journey. Now, it's about helpiing creating the app, and educating people how to use it and creating business strategy for the local tutoring company business owners to help them drive more student leads and improve effectiviness of their business by leveraging solutions, that will attract not only students, but tutors as well, while helping agencies maximize their match making profits and helping them become a local hero and the leader in the small geographical region. This is exactly what this cloud educational marketing and business solution does. It helps you strategize in the right direction while also helping you take advantage of our marketing services that we offer and our tutor listing platform. Each Item number that was discussed here is a a marketing weapon (and also business solution for your local tutoring company), it's up to you how you use these weapons. You can either get help from Tutoring Services, LLC and guide you in using these weapons with the help of our training sold seperately or be able to forge your own weapons, and learning how to create your own educational local tutoring network or do so on your own without training without our cloud solution and waist a lot of time and end up losing money attempting to reinvent the wheel, when the wheel was already created. With so many companies positioned horizontally, there is lack of innovation and lack of responsibility in educational industry. 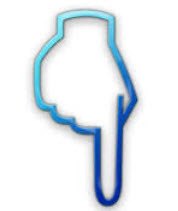 There are soo many companies with useless, absolutely useless solutions that do not come close to anything what you would need, and are extremely incompatible with your business needs as the local tutoring agency. We realize that, this is why we created these weapons, to help you become more competitive. Visit our blog site plus.TutoringServices.com/+TutoringServices to learn how we help local tutoring agencies and be prepared to be glued to the screen. Pricing is based on number of tutors your company manages not sessions. Customization to reflect your tutoring agency brand for the app is provided at seperate consulting price. Prototype of the app is included FREE of charge as part of the cloud advanced edu marketing yearly membership. You can customize the app your self, we can show you how at seperate consulting and training price. Similar to let's say FairfieldTutor.com but hosted on sub-domain on our servers. You can either have your tutors shown on your site or not. Depends on which type of educational advanced marketing weapon pie slice you buy. Some agencies may already have their own tutor listing site and do not need it (as shown in Item #3 although we highly doubt that it would be anywhere remotely near to the functionality that our site provides), and some don't and do need it (our advisable recommendation that is if you want to stick out like a thumb in comparison to your competitors), this is why we create different slices of solution, depending on which slices of solution tutoring agency decides to get. If you do not like the idea of sharing revenue from every lesson being tutored by your tutors listed on callmytutor.com, then you can have your tutors shown on our sister site www.TutoringServices.com instead, but would not have functionality and granularity to differentiate your tutors as much as you would have on callmytutor.com, but would only pay per tutor listing and up to 3 subjects that tutor can register (without having to pay any recurring Tutoring Services, LLC fees from each lesson). However sharing revenue from each session with Tutoring Services, LLC can be better model for some companies who are not as strategized, we recommend agencies who do not have much experience in Information Technology, IT Security, Marketing, Project Management and Business development to share revenue with us from every match simply because you will give Tutoring Services, LLC more incentive to help you more than others. This means higher chances of getting more student leads and making money for your agency. It's all about quality vs quantity. If you want what's quality you have to pay recurring fee and forget about the greed factor, having your tutors differentiate is quality that can help you convert higher students. Plus you get to have item #1 if you do chose recurring agency fee price from every session. Your agency profile page similarly like any other tutor profile would be shown on TutoringServices.com. This way students can search for subject on TutoringServices.com and find your agency in your area, then navigate to your custom created Tutoring Agency site on TutoringServices.com/[Your-Company-Name] that lists your local tutoring agency sub-domain site(s) in your local edu network as described in item #2. Item #5 Placement of your Ads on Network of sites. Confused by this item? Don't be, it's the number 1 enemy in tutoring business, the enemy of not being able to find relevant sites where your article can be posted. Luckily with our service you do not have to worry about spending fortunate on your ads as it is the case with many other companies. We place your ads on our network of educational sites. We do the posts in the form of regular blog posts, written by you or by us,on 1 edu blog site or multiple edu blog sites. 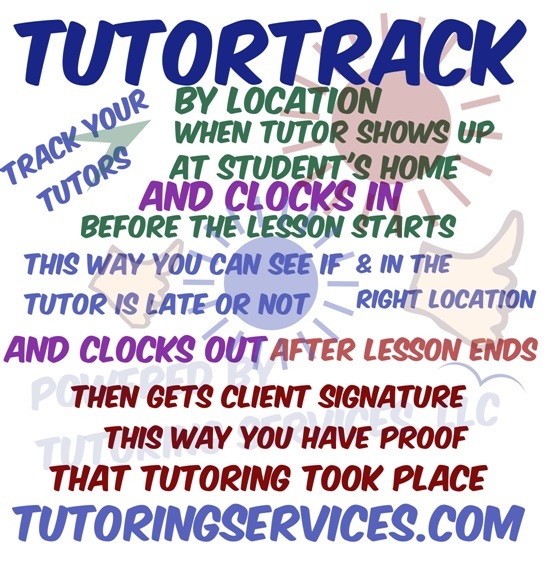 One Great speciality about this site is that any study guide that is added on there or any type of educational resource, it automatically shows up on multiple local tutoring sites with inbound link, i.e linking is created automatically, while providing value to students. This site also has great content and good reviews and has good traffic. Note: We are not just an SEO company (SEO companies are useless), we are not here to sell you links, we don't do that. We give you membership to our cloud solution, where you can chose and pick to see whether you want to have the posts done on this site or not. We have different pricing for each site. As part of the Item #5 we offer content writing, content formating, beautification, and posting all as part of seperate price bundle. If you want to get article written by us it would be seperate price on top of the yearly membership. If you want to get article beautified by us, well formatted and have graphics added with video that's another price seperate from yearly membership for advanced marketing weapons. Example4. I want TutorTracker app and learn how to use and customize it per my business need. Example5. I want to list my agency tutoring profile on TutoringServices.com and on other network of your educational sites to help me drive student leads. Example6. 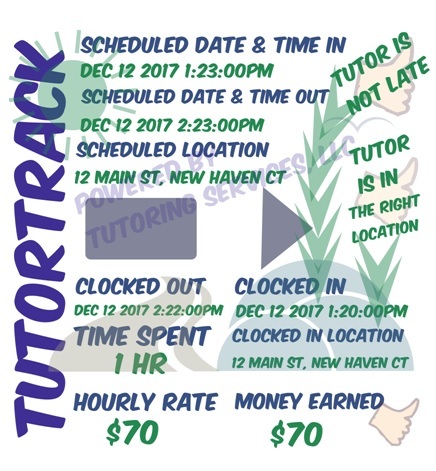 I am ok to pay agency recurring fee for each lesson my tutor who is registered on callmytutor.com teaches in exchange for having to pay smaller tutor yearly placement fee on callmytutor.com and in exchange for having Tutoring Services, LLC company help my company strategize my local tutoring business in the right path. Example7. 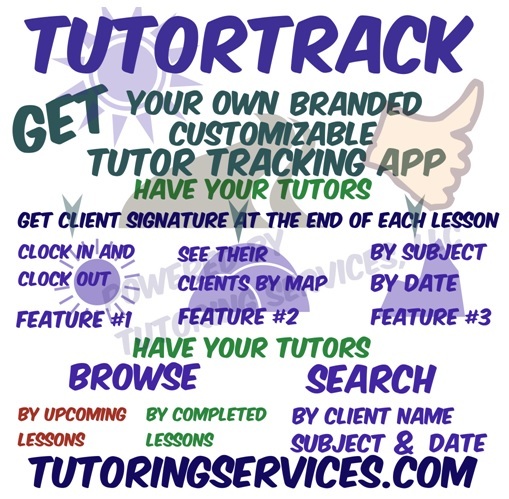 I am too greedy i do not want to pay any recurring agency fee, i wil spend thousands of dollars creating my own tutor listing portal with questionable outcome, but will need you Tutoring Services, LLC to help me market my tutors. Example8. I am not sure what I need, please help. Example9. I need help deciphering demand in market in my local area and understand what subjects I need to concentrate in. Example 11. I am confused how to track students and payments and do background checks, please help. Example 12. I am not sure who to ask for help if I am not available in front of the computer to respond to student inquiry. Example 14. I am not entirely sure how to count all of my hours tutors spent. Example 15. I am not sure how to schedule tutors, how to track them. Each Item number that was discussed here is a a marketing weapon, it's up to you how you use it. You can either get help from Tutoring Services, LLC and guide you in using these weapons with the help of our training sold seperatelyor do so on your own, waist a lot of time and end up losing money attempting to reinvent the wheel, when the wheel was already created. Think of our guidance as going to the shooting range where you have an instructor teaching you how to shoot. Think of it as picking up a gun and pointing it at your competitor and you simply pulling the trigger as you executing our guided advanced marketing and business educational solutions. Depending on how deep you want to dive into this is going to determine you price. This is created specifically to hold you back from over-spending and knowing your boundaries and limits. This is what will help you drive your local tutoring business, knowing such boundaries and having strategic metric to rely upon will be the key of running it successfully. That metric is your sense of running your business in such a way that makes sense. Note do not try to adjust our pricing to your business, adjust your business to your goal. The only way it will make sense if you start out with concrete facts for how much everything costs and how does that help you. Therefore request the pricing by sending us email and letting know what you which part of advanced marketing weapon cloud solution you would like, or if you want to purchase multiple slices of this solution, tell us which item # you are mostly interested in and we can send you the price specifically for such item. SELECT a.id, a.book_title, a.description, a.ad_image, a.image_tag, a.isbn, a.asking_price, a.book_condition, a.book_store_url, a.sg_type, a.url_path, c.subject_id, c.subject FROM tbl_used_book as a, tbl_booksubject_description as b, tbl_level_subjects as c WHERE a.exam_code = "advanced-marketing-edu-weapons-and-business-cloud-solutions-for-local-tutoring-companies" AND a.subject_id = b.subject_id AND a.subject_id = c.subject_id AND a.is_available = "1"